I made this dish a few days ago for a birthday breakfast at work, and it was gobbled up. Fast! The dish was scrapped clean! We were all asked to bring a breakfast dish to work so that we could surprise one of our fellow teachers with a birthday gathering in the staff room before school started. The room was fully decorated, decked out with many festive touches, and the tables were laden with food. Lots of people brought in sweet treats, but a few of us went the protein route. I knew I would need some protein and wanted something with lots of vegetables as well. 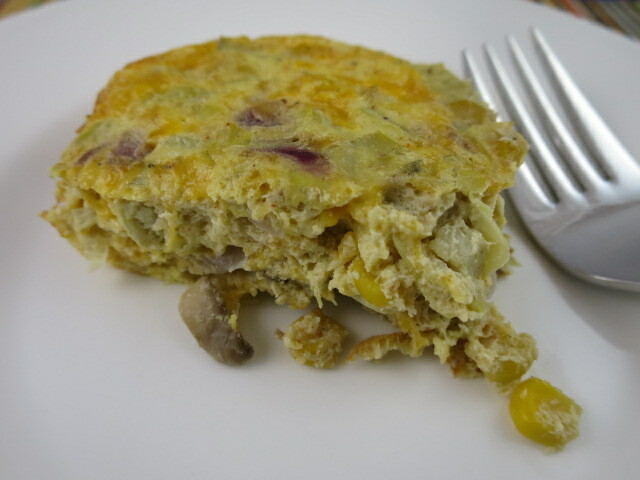 So I turned to SparkRecipes – a favorite site of mine to find healthy recipes! I knew the moment I read the words cheesy and artichokes that they had a recipe that I wanted to try! I love artichokes and all of the yummy veggies that are packed into every bite of this dish. 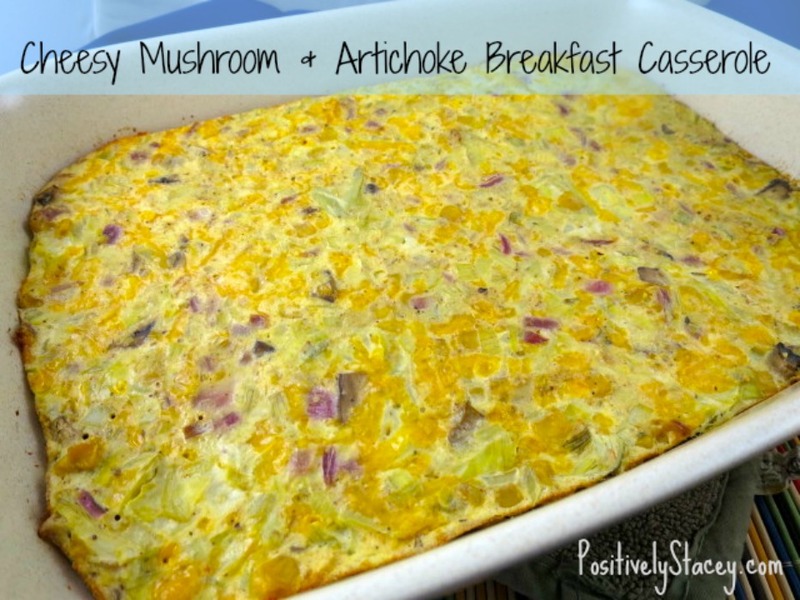 This Cheesy Mushroom & Artocole Breakfast Casserole was easy, healthy, and above all delicious! As I was putting the recipe together I realized that the recipe is a lighter and healthier version of one of my favorite appetizers, my Artichoke Nibbles! This had me concerned as I serve the former as an appetizer, and I was bringing this new dish to school as a breakfast item. But not to worry. 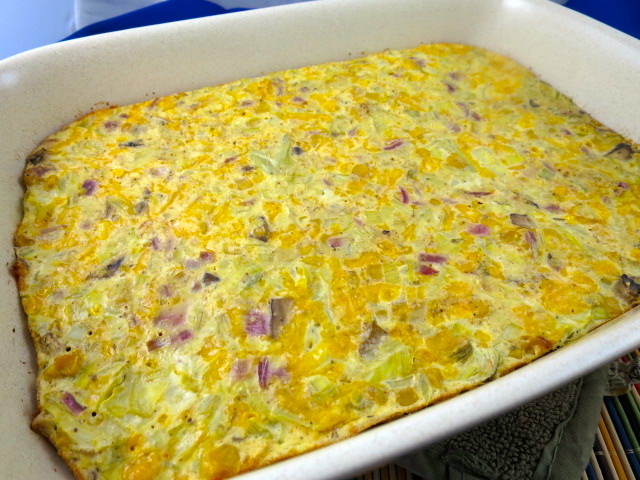 The SparkRecipe version is more breakfast-like as it is much lighter. Drain artichoke marinade/juice into skillet. Chop drained artichokes and set aside. Heat marinade over medium heat. 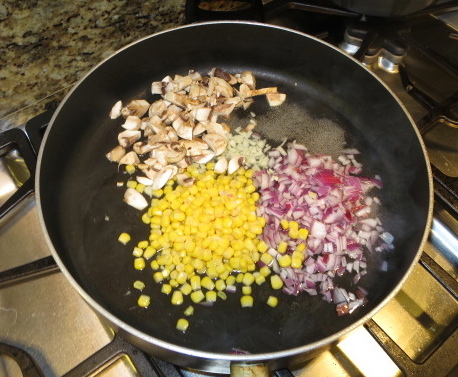 Add onion, garlic, corn, and mushrooms and sauté for 5 minutes. Place egg substitute in bowl followed by the breadcrumbs, salt, pepper, oregano and Tabasco. 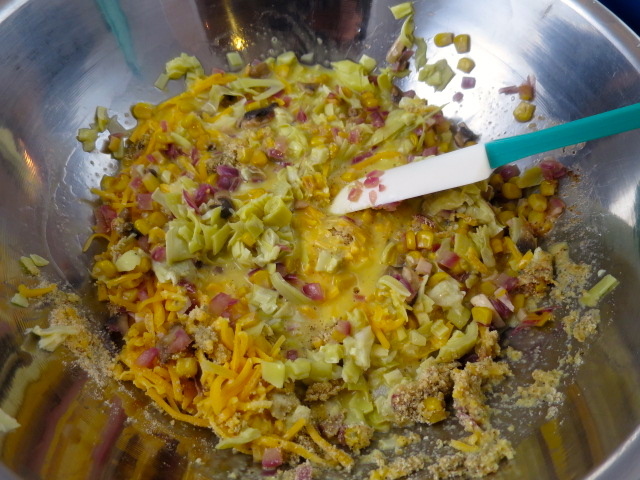 Stir in cheese, chopped artichokes, and skillet mixture. 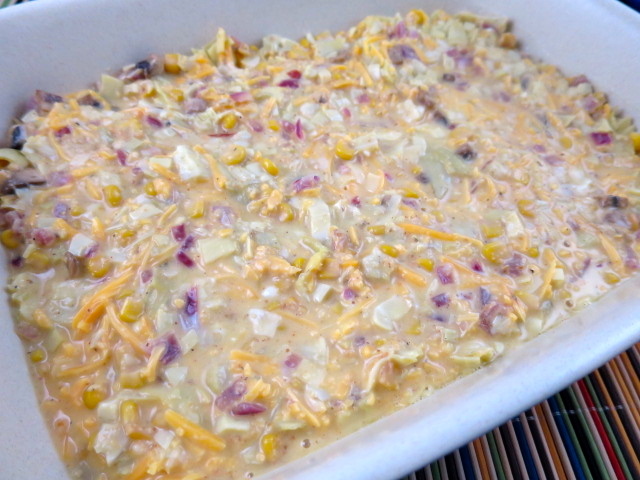 Pour into a greased 7″ x 11″ casserole dish. Pour into a greased 7" x 11" casserole dish. This sounds really good. You can invite me to breakfast any time 🙂 Recipe Pinned! Mrs. L, I would love to share with you! Thanks for pinning. Have a wonderful weekend.